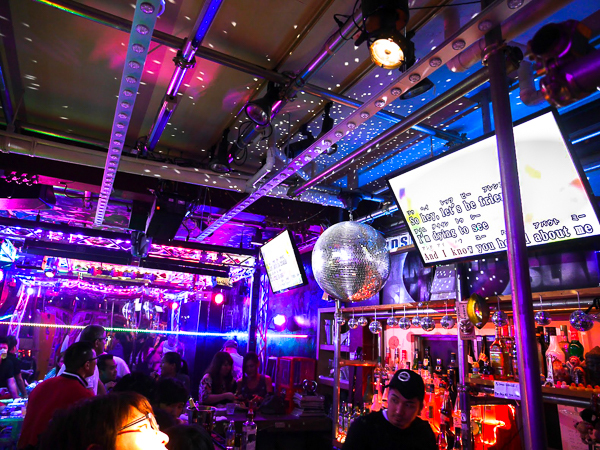 Grand Slam Gay Bar in Osaka - The Name Says It All! Just a few minutes? walk from Osaka's Umeda district, one of the entertainment and shopping beating hearts of Osaka, leads you to the Doyama district. Packed with gay bars, clubs, and other venues galore, there?s something for every letter in the LGBTQ acronym! Having a good time at Grand Slam, Osaka.One especially good gay bar for foreign visitors is Grand Slam, or ?GS? as the locals call it. Going strong for seven years, this hot spot is no flash in the pan, and for good reason. This bar, lounge, and karaoke spectacle accommodates 20-30 people comfortably, which is just the right size for a bit of schmoozing. You can find a place at the bar or a comfy seat in back, but you?ll want to head toward the back if you are going to try your hand at karaoke. Not to worry, you sound better than you think when you?re singing ? there?s software in the karaoke machine to ensure that!